When Pantone released the color of the year for 2014 I was actually excited about it, is that weird? It seemed like I had already started adding the color into my wardrobe the last few months, if felt like I had a little intuition that it was already a great color. It has been popping up everywhere and I thought I would share a few of my favorites. I own a few of the pieces above, as well as a few more, of course. The one thing I am on the hunt for is a great pair of Orchid earrings, I haven't found the pair yet. Check out Pantone's Press Release for when they announced Radiant Orchid as the color for 2014. I love the statement they make about the color in beauty. "A modern and surprisingly versatile shade, Radiant Orchid enlivens the skin, making all who wear it feel more healthy and energetic. Blending both cool and warm undertones, purple is an appealing hue for distinctive combinations and flattering to many hair, eye and skin tones." 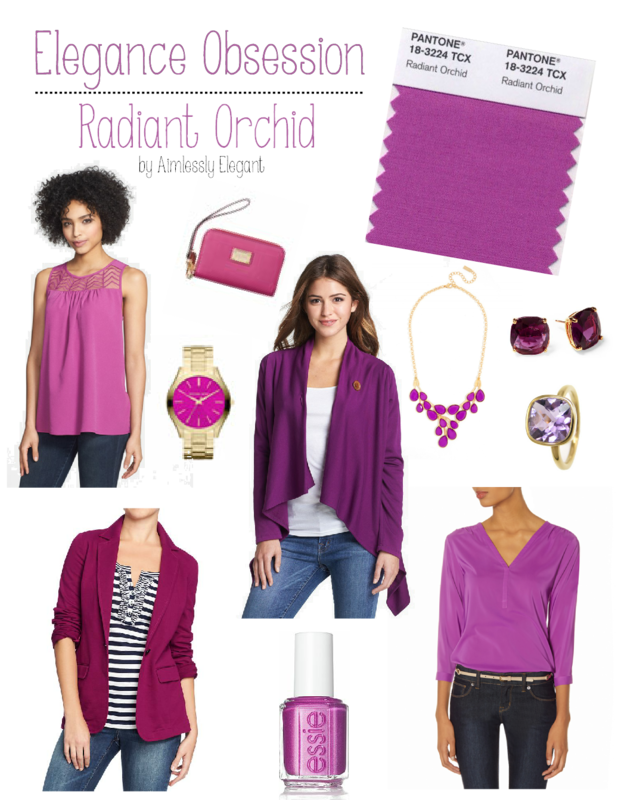 Are you a fan of Radiant Orchid? Where have you used it, beauty, fashion, decor?